Hooks are designed for use with grade 80 alloy chain. 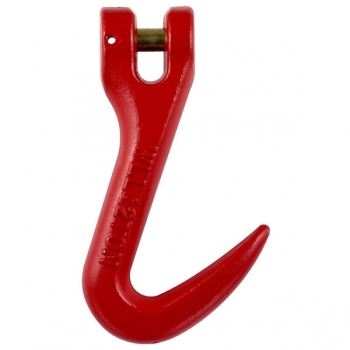 The clevis sharp drum hook can hoist the iron drum from two sides. 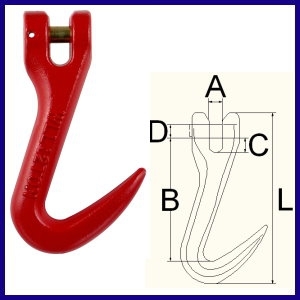 The design of clevis opening to ensure the correct use in chain size, and to save the connecting link for alloy chain. Capacity, PASAK and WLL embossed on the products.